The Best of Teacher Entrepreneurs II: FREE MISC. LESSON - "Extra Support Report"
an excellent tool to take out during parent conferences! If you're like me, you are probably taking notes on discussion points the night before speaking with parents or while filling out report cards. 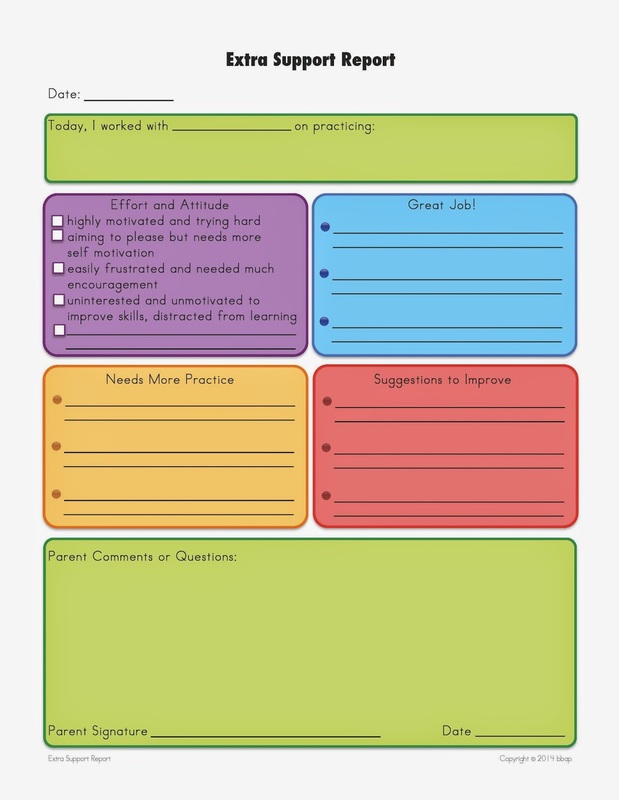 I created this tool when tutoring as a parent communication tool and found it equally as useful in the classroom. Conferences became much more focused and meaningful when simply going over my notes on this report. Parents were grateful for the detailed feedback and it was simple for me to fill out while working with my kiddos! I hope this tool can help you too!